Cowboy Bebop: Edward Wong Hau Pepelu Tivrusky IV aka "Ed"
Omg… Nice pose! This girl must do yoga or something. That’s pretty difficult to pull off! 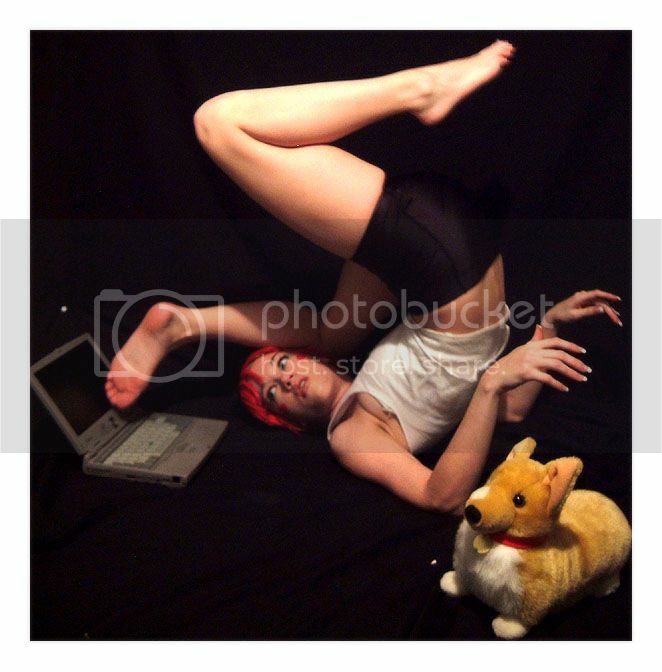 The character she’s cosplaying is called “Ed” who is known how her flexibility and her hacking ability. She’s a bit strange and androgynous, and loves to use her feet on tasks you’d normally use hands to do (like scratch your nose, maybe?). She’s easily distracted, and you’d think of her as a “free spirit”. I’m really impressed by this cosplay… I know I can’t touch my nose with my knees, can you? You are currently browsing the archives for the Cowboy Bebop category.